This is a quick-hit post, in answer to a lot of emails I have received about the new Kindle Oasis. Yes, I received it earlier this week and I also took it on a trip with me and read quite a bit (I sat in the hotel and airports for quite a while). My initial impression is the Oasis is a nice e-Reader, and if money is not an issue I would say go ahead and get it – otherwise, I would recommend a Kindle Paperwhite. You can read the review I wrote of the new Oasis if you click here. The Kindle Oasis covers that are available leave a lot to be desired and I would wait until third-party providers start manufacturing them if you can wait that long. You can read the review I wrote about the cover if you click here. Here’s a rather quick post in answer to a lot of emails I have received over the past week. If you would like to write to me, my email address is Michael at fkbt dot com (I type it out that way in a small effort to thwart the spammers). We did have a winner of the Kindle Oasis giveaway – Donna T. in Abbeville, Louisiana. She replied promptly to me, and when I went to order it they were automagically out of stock. Given the option for something else or to wait until they came back in stock, Donna chose the “wait” option, even though the Amazon website wouldn’t give an estimate on when they would be back in stock. Lo and behold, the very next day they came back in stock – I ordered it, and Donna received her new Oasis last Saturday. Why am I telling you how the sausage was made? Because Amazon this week announced a new version of the Kindle Oasis which will be released on October 31st (you can see it if you click here or type in http://smarturl.it/kindleoasis into your web browser). Yes, I ordered one as I’ve dropped my Paperwhite too many times over the years; I’ve used the Paperwhite daily for 2+ years now and I will have this one be a backup for me. Once the new Oasis arrives and I have had a chance to use it, I will let you know my thoughts and give you the link to my review on the Amazon site. I’ve been playing around with the new Fire HD10 Tablet for a while, and I’m impressed. While I do the majority of my reading with my Paperwhite, I do use a tablet quite a bit to watch video, check email, and a little bit too much of my time playing games. Amazon must be doing this as a loss leader, as the top of the line one is priced at less than $200. You can see the review I wrote if you click here or type in http://smarturl.it/hd10review into your web browser. If you do get a new Fire, I’d highly recommend you get a cover to protect it. You can read the review of the cover I purchased if you click here or type in http://smarturl.it/hd10cover into your web browser. That’s all I had for today – have a great rest of your weekend! 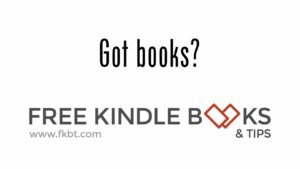 I’m on the road again, so I will make it short and sweet – I’ve been using the new Kindle e-Ink reader for two days now and just completed my review. For $79, I think you’re getting a pretty good deal and rated it a 4 out of 5 stars in my review: I still like the Paperwhite better, primarily because it has a backlight and I read at night a bit, but the Paperwhite is more expensive. If you would like to see the detailed review of this new Kindle you can click here or type in http://bit.ly/16kindle into your web browser. Why do I look for an Amazon Verified Purchase? I’ve been burned too many times by friends and family of the author or shill reviews – reviewers that immediately rate everything a five star, they leave about one sentence of commentary, and they are generally marked by it being the one and only review a person has ever written on the Amazon website; these are typically reviews done in order to inflate a book’s overall rating. Another good indicator is a book will have a flurry of reviews around the same day, are short and all five stars, and the reviewers are from the same general location in the USA. The same could be true for something you thought was outstanding and I may question why it was published in the first place. When I read reviews sure, the star rating is important (see above), I don’t put that much weight into the “star” rating, but I look at the comments – mainly to see if they are substantive to back up the rating as well as to see what the reviewer’s pluses and minuses are with the book. If you look at those written comments, sometimes they match up to the “star” rating and sometime they do not. If you would like to read the reviews I have written, you can click here or type in http://smarturl.it/mgreviews into your web browser. As I type this post, I have 13 books I need to review but you will see just about everything I’ve read over the last five years – you’ll see I do read a lot of the free book offers, and you’ll also see I have been on a science fiction kick for a while. You can vote on the individual reviews on the Amazon website if you think they were helpful or not with a simple “Yes” or “No” vote – you can click on those voting options immediately below the text of each review. The more “Yes” votes you get in proportion to the overall votes – as well as some super-secret factors Amazon won’t divulge – you will move up in the review ranking scale (yes, Amazon ranks the reviewers). Right now, the #1 Amazon reviewer is Ali Julia: she has held that position for a few years now and has written 3,978 reviews (about 1,300 of them since September of 2014) and has received 38,693 “Yes” votes for the reviews’ helpfulness. Anyway, that’s all I can type about for now. Have a great weekend! If you haven’t entered the giveaway for one of the just-released Kindle Fires, today is the last day. It’s free to enter, so what are you waiting for? Just click here or type in http://smarturl.it/1014kf into your web browser to enter. While you’re at it, please pass this on to your family and friends as I am sure they would appreciate a chance to win, also! I received both the new Kindle and the 7” Fire and had a chance to play and read on them. I rated the new 7” Fire a 5 out of 5 stars mainly based on what you get for the price: if you’re happy with your previous generation Fire I would, however, recommend you save your money and keep on using it until it bites the dust. You can read the review I wrote if you click here or type in http://smarturl.it/14fire into your web browser. I rated the new Kindle a 5 out of 5 star based on price; if you’re a parent and want to put a Kindle in one of your children’s hands, or maybe you’ve been holding off on buying an e-Ink reader because of price, I would recommend this one. I had a few nits that were annoying to me, and you can read the review I wrote if you click here or type in http://smarturl.it/kindle14 into your web browser. I also purchased a cover for the new e-Ink Kindle and rated it a 4 out of 5 stars. It holds you r Kindle pretty firm and makes the reading experience truly feel like you’re reading a paperback book, but I do think it is rather pricey at $29.99 in comparison to the price of the $79 Kindle you are protecting; however, I also highly recommend you read and carry it around in a cover. You can read the review I wrote if you click here or type in http://smarturl.it/14cover into your web browser. I hope each of you have a great week, and don’t forget to signup for a chance to win the Fire! I have the new 7” Kindle Fire HDX in hand and have played with it for several days now. Attached below is the review I wrote for it on the Amazon website: I rated it a 4 out of 5 stars. The iPad lovers appear to have come out in droves against the positive reviews, so I’d appreciate it if you would click here or type in http://smarturl.it/hdx7review into your web browser and voting “Yes” just underneath the review on the Amazon website if you found the review helpful. To sum up what I will tell you about in the details below, for $229 you are getting a good deal on a tablet computer – especially if you compare it to the $199 for last year’s first-generation Fire HD and the $500 or more you can spend on a Wi-Fi version of the iPad. Overall, if you consider the price and the functionality I think this is a great tool / toy if you watch a lot of video or play a lot of games on your device: the video quality is outstanding and you can really tell a difference between this and the new HD Fire. If you are a first-time tablet buyer, where price vs. value is a key consideration, or if you are looking for an affordable tablet for the kids, I’d recommend the “regular” Kindle Fire HD that is only $139. If you’re comparing last year’s HD model to this version and it is operating fine, I’d say save your money and continue to get your money’s worth out of that one. Consistent with my experience with setup of this year’s model of the Kindle Fire HD, setup took a long time: despite being a brand new product, the Fire HDX attempted to download and install several operating software updates. Software updates on a Kindle are usually in the background, and it was annoying watching the crashes and manual reboots. Consistent with the Fire HD, it crashed during setup, playing a song, watching a TV show, and reading a book. It took a little over an hour to get this thing up and running without consistent crashes but after the final software update it has worked as expected without further issues. This version of the Fire has the absolute best screen display of any Fire model to date. Looking at the technical specs Amazon made some major changes in the display / resolution, and the picture appears more crisp: I compared the viewing experience watching with my standard test of the Fire devices over the past couple of years – don’t laugh – the first episode of the Wonder Woman TV series from the 70’s. The display on this Fire was one heck of a lot better in terms of sharpness than last year’s model as well as this year’s model of the Fire HD. For you technical folks out there, the display is 1,920 x 1,200 with 50% more pixels per inch than the Fire HD. The initial Wi-Fi setup took some time as it wouldn’t remember the password for my router after each software update / crash / reboot series. After the final operating software update I mentioned above, however, it was fairly easy to connect to the Internet via Wi-Fi. My standard test for trying out new gadgets is to see how fast they run side-by-side with a known piece of equipment doing the same test at the best place of Wi-Fi in my house and the worst place where it drags. In this comparison, I had this HDX version of the Fire sitting next to last year’s and this year’s version of the HD Fire, as well as last year’s 8.9” HD Fire, Motorola RAZR smartphone, my iPad 2 (yes, the Kindle guy uses an iPad for work), and the first-generation 7″ Fire (the model from two years ago) all just using a Wi-Fi connection vs. cellular connectivity. My “normal” website test is to hit the mobile websites of FoxNews, CNN, my personalized Yahoo page, Google, and the Houston Chronicle. The ones that were usually slow on the other devices were faster on the HDX (Houston Chronicle and CNN), and for the other sites I couldn’t tell a difference in speed at the location closest to my router. When I went to the slowest / worst reception location of my house, the speed did have a noticeable difference in the other devices as this one was a little bit faster than all but last year’s model of the 7” Kindle Fire HD; yes, it was also faster than this year’s model of the Fire HD but I attribute the increase in speed to the dual antennas on the HDX. The two speakers are located in the back of the Kindle Fire in two not-noticeable ports: one on the top and one on the bottom. My test of this feature was cranking up Van Halen’s Panama to maximum volume (I always want to see if it could really play the guitar licks), and I would alternate covering one speaker up over the other: you have true stereo sound with no degradation of the sound that makes you think you are about to blow the speaker. The Dolby speakers sound nice and you do get to hear the bass. However, I am still of the opinion the speakers aren’t going to do very well being placed in the back as I am in the front: I want to be able to hear whatever I am listening to without really having to crank it up and disturbing someone else in the room (that’s what happens when you start losing your hearing like I am). While the cover for this version has not shipped yet – why aren’t the covers released at the same time? – I imagine the sound quality might decrease with a cover in the back over the speakers. The X-ray feature is pretty neat as it displays the lyrics on the screen if you are so inclined; if you are not, it is as simple as the tap of an icon to make the lyric feature go away. Consistent with previous versions of the Fire, email setup was very easy for my main Gmail account, both with the software came with the Fire but my primary use of an existing app called Enhanced Email I purchased here in the Amazon app store. I did setup the email app that came with the program with no problem – it took about a minute to setup my main Google account – and I was able to send and receive emails as well as synch my online calendar via Google’s calendar and contacts. For those of you asking yourself why am I using the Enhanced Email program, the simple answer is like many of you I have more than one email account: you can quickly switch back and forth on the accounts with the tool. The lazy person in me appreciates that as I don’t like getting out of the lazy chair once I’m settled in! Turning pages is pretty darn easy – just tap the side of the screen to go to the next page or back a page, or you can swipe your finger across the screen to do the same. Amazon did add the feature to see the book’s description for books on your device like they have with the e-Ink Kindle (always an annoyance with last year’s model), which is a plus as I can’t remember what each book in my digital to-be-read pile is about; getting to the book description, requires several taps on the screen to eventually get to where you want to be. If there is an easier way to do it, I can’t find it and maybe I should be one of the first guys, ever, to crack open the electronic user’s manual to figure it out (doubt it). For those of you who have wondered, you still can’t organize your books into categories unless you purchase a third-party app here in the Amazon app store. Overall, at $229 for the 16GB of memory model ($309 for 64 GB of memory) I think this is a good deal for someone who really uses the video / apps feature. Kids will love it as they can read books, play games, watch TV and movies, and a whole lot of other things. Adults should like it for the exact same reasons, but while I try to minimize the amount of work-related stuff I do at home with the business apps that are available here in the Amazon App store and other places around the Internet I can also work on Excel and Word-compatible files when I have to without having to fire up my work laptop or whatever the case may be. If you’ve never owned a tablet before, or are looking to upgrade from an earlier model Fire, I would recommend this one if video and apps are your thing – but make sure you purchase the higher memory one vs. the minimum 16 GB. If you’re comparing last year’s HD model to this version and it is operating fine, or looking for a tablet for your younger children, I’d say save your money and continue to get your money’s worth out of last year’s model or get this year’s model of the Kindle Fire HD at $139. I’d appreciate it if you would click here or type in http://smarturl.it/hdx7review into your web browser and voting “Yes” just underneath the review on the Amazon website if you found the review helpful.